Tuesday (March 1) turned out to be a bad day for Jang Group as inside a few hours it was dealt a double blow in the Supreme Court. The group could not keep away the state-run PTV from airing ICC World Cup Cricket matches on cable networks. It also received a separate contempt notice. 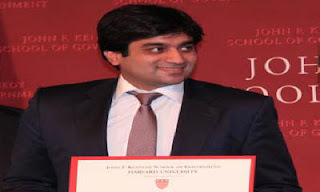 Mir Ibrahim ur Rehman, Chief Executive Officer of Geo TV and son of Mir Shakeelur Rehman was given the contempt notice after allegedly manhandling PEMRA (Pakistan Electronic Media Regulatory Authority) counsel, senior lawyer Ali Raza. Ali accused Ibrahim of violating court norms by trying to meet acting chairman PEMRA in private but when he (Ali) tried to keep Ibrahim away from his client, he started pushing him and used foul language. Ali filed a contempt petition against Ibrahim following which Chief Justice Iftikhar Muhammad Chaudhry issued notice to Ibrahim. Meanwhile, Islamabad High Court also issued notice to a reporter of daily Jang and his organization in a contempt petition filed by PEMRA.